Soon after Tesla owner Elon Musk tweeted the coming of a dual-motor Model 3, we wrote about how he felt it could compare with the BMW M3. We really just reported what he had said and gave our thoughts. Simple. Since his tweets, though, the interwebs has been awash with both praise and criticism, from both fans and critics. He’s also since provided some more specs about the upcoming Model 3. 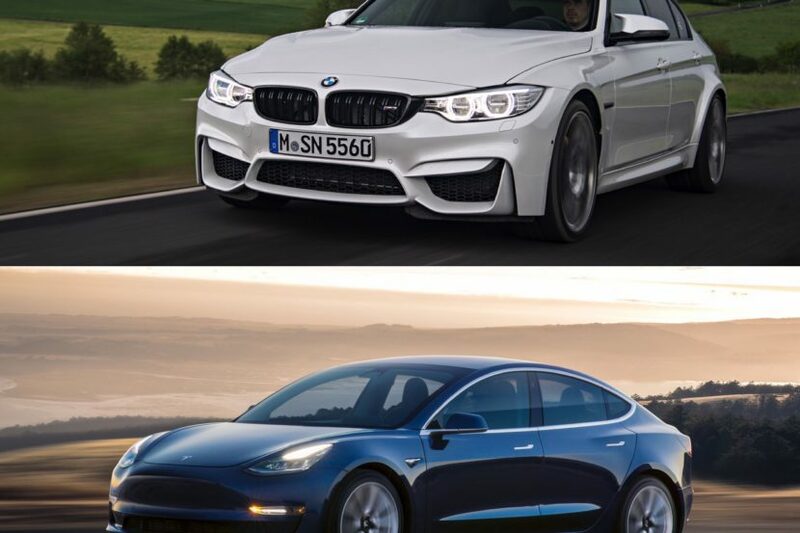 So we thought we’d look deeper at the comparison between both cars, simply because Musk is adamant that a car that doesn’t even exist yet can not only take on but “beat” the BMW M3 on track. 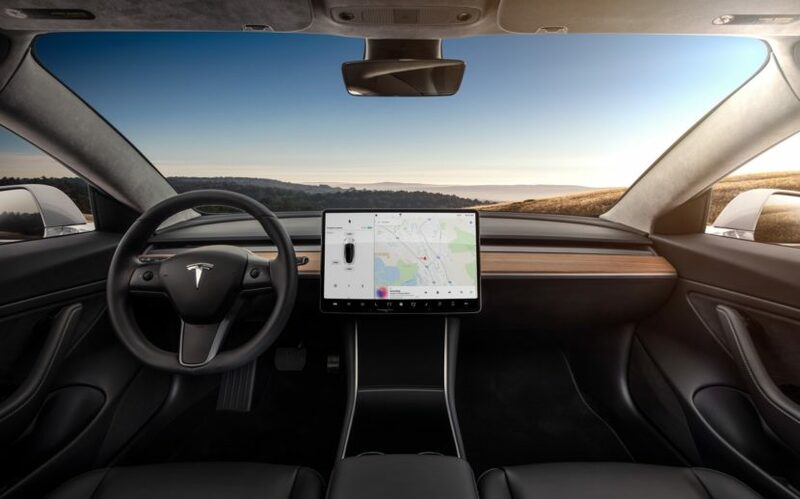 Here’s what we know from what Musk had to say about the upcoming Tesla Model 3 Dual Motor Performance (DMP for the sake of my typing): It will be able to get from 0-60 mph in 3.5 seconds, will have a top speed of 155 mph (unspecified whether that’s electronically-limited or not) and it will boast 310 miles of range. According to Musk, the Model 3 DMP will cost around $78,000 or “About same as BMW M3”. He also went on to say that it will be 15-percent quicker than the M3 while also sporting better handling. Just to make sure he wasn’t sounding too modest, he also threw in “Will beat anything else in its class on the track”. Okay, so that’s out of the way. Now let’s look at the BMW M3. The M3 actually starts at $66,500, so about $12k less than Musk claims his new Model 3 DMP to cost. 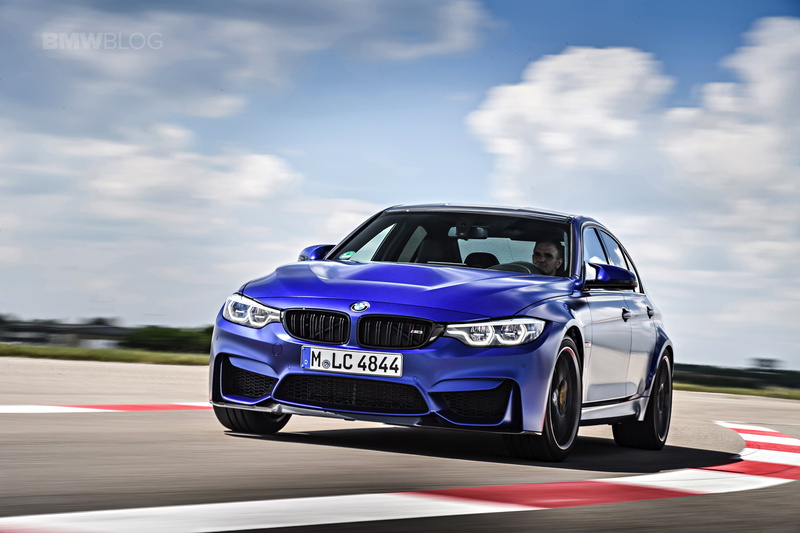 To get close to Musk’s price claim, the M3 would have to have its Competition Package and a dual-clutch transmission, which puts it a few thousand dollars less than $78k. So that’s the spec of M3 we’re going to use. 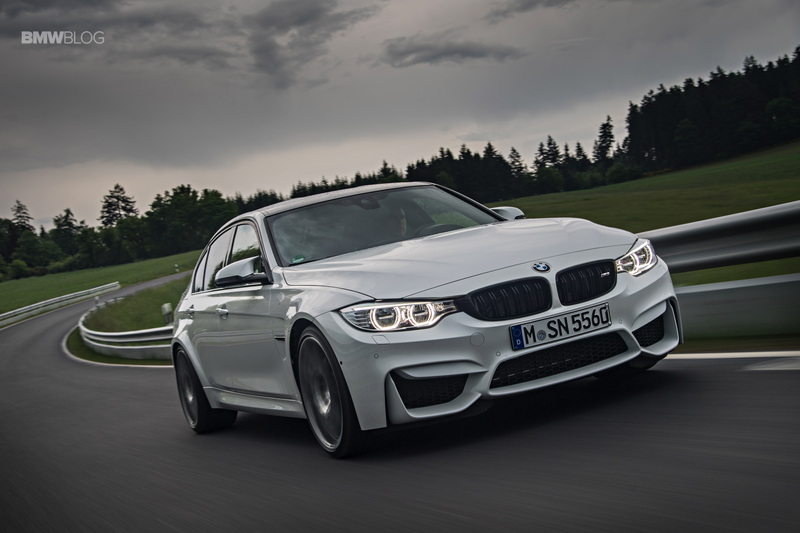 The BMW M3 Competition Package sports a 3.0 liter twin-turbocharged I6 engine that makes 444 hp and 406 lb-ft of torque. Musk doesn’t claim power figures for the Model 3 DMP but we’re going to assume it’s more than the M3’s power. Thanks to that dual-clutch transmission, it can get from 0-60 mph in about 3.8 seconds, so slower than the Model 3 DMP. The Tesla is also all-wheel drive and electric, so it should be easier to launch more consistently. The M3 Comp Pack also has a top speed of 155 mph but is electronically-limited to that, with an optional M Driver’s Package bumping it up. On paper, then, the two cars are pretty evenly matched and it does seem as if the Model 3 DMP will be a bit faster. So Musk isn’t far off there at all. If he had left it at that, no one would have really cared. But claiming the Model 3 DMP will be beat the M3 and everything on track pushed it a bit too far. Here’s where it gets tricky. The dual-motor Model 3 doesn’t even exist yet. So there’s no way to claim that it will beat anything on track. For all we know, the new Corolla Hatchback could spank it (even if that’s damn near impossible). But that’s not the only problem with his claim — the fact that the Model 3 DMP will weigh quite a bit, thanks to all of its heavy batteries and dual electric motors. So it’s likely not going to be a scalpel sharp track toy, like the M3 is along with all of the other cars in the segment. Sure, all of its weight is in its belly, like a snake, but it’s still going to be portly. Then there’s the fact that the Model 3 DMP will also be able to do just a few laps before its battery drains too far to continue and it will need to charge. And that’s only if the battery doesn’t overheat first, as Teslas are prone to doing, sometimes after even just one 0-60 mph launch. All the while, the M3 will be able to do lap after lap, all day long, as we’ve seen several times before. The M3 is proven on a track, the dual-motor Model 3 doesn’t exist yet and Tesla’s track record (pun intended) isn’t the best. We’re not the only ones who’ve been criticizing Musk’s tweets about this supposed performance Model 3. Most car journalists are quickly finding the holes in his claims, but that’s another story. Then there’s the fact that independent publications are finding some serious issues with their Model 3s, such as Edmunds and Consumer Reports. Both of those publications purchased their cars, so as to not show bias, and have both seen countless issues with them in only a few months. So claiming that a car that hasn’t done any real world testing outside of Tesla, if it’s even done that, and that has the amount of reliability issues that it does, will beat established and excellent competitors on a track under grueling conditions is simply the talk of, let’s say, eccentric. I get wanting to promote your brand and being excited about a new product. In fact, I encourage it. But making outlandish claims and then attacking media for questioning them is madness. We have no doubt that Tesla will eventually make a dual-motor Model 3 and it will be incredibly fast. It will also likely be fun to drive and very impressive, as all Teslas are. But Musk has a tendency to over-promise/under-deliver and this looks like it could be a prime example. From the specs he’s provided, the only thing we know is that this dual-motor Model 3 will be fast. But it’s doubtful that it will be faster than the BMW M3, Mercedes-AMG C63 S, Alfa Romeo Giulia Quadrifoglio or Audi RS4 on track. Only time will tell how these cars will compare with the Model 3 on track. And that’s what Musk should have left it at that.